Fundraiser by Everything Is Terrible ! 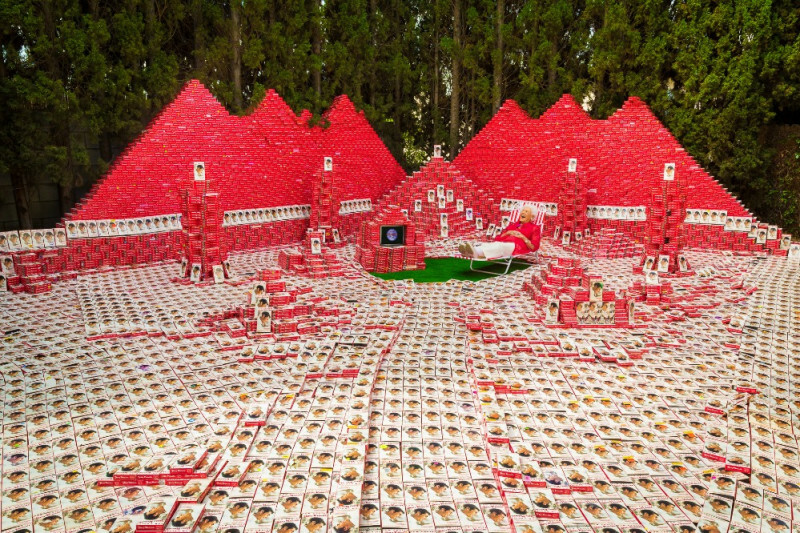 : Build a Jerry Maguire VHS Pyramid! Build a Jerry Maguire VHS Pyramid! Everything Is Terrible! has collected 15,000 Jerry Maguire VHS tapes (Jerrys) over the last 9 years! People from all walks of life have united over this cause of finding and rescuing all of the world's Jerrys! Now the Jerrys need a home and we will build it! That home will be a permanent, enormous pyramid in the desert! This monument to our civilization and its boundless potential must be erected! Help these Jerrys be reunited with their fellow Jerrys! Help them live forever together in a #jerrypyramid in the desert! This is the stupidest incarnation of the American dream and it must be realized! Posted by Everything Is Terrible ! Progress is slow, as we knew it would be, on this crazy thing! We're still looking for the land. We're hoping to buy it in the next year. Once that is done, we'll be able to finalize the building plans, which will give us an exact price tag. Then we'll begin fundraising with a vengeance! If we can start construction in 2020, that'd be awesome! Until then you can mail us Jerrys via USPS media mail to PO BOX 50825, Los Angeles, CA 90050 or come see us on tour early 2018! BLESS U ALL! THIS IS IMPORTANT! I also have Jerry to donate. I have a cardboard cut-out of Tom Cruise from Jerry MaGuire that I won in a raffle at Sam Goody. Happy to send it to the pyramid. I got a grip of Jerrys to send! i found one in the wild that needs to go to this reservation. how do I donate my jerrys?? I have two in LA that I want to enshrine for all of time immemorial in a tomb befitting their worth. Once the pyramid is built, a portal will open from which they will return Jarry, Duchamp, Daumal, and Cthulhu. Must be done. Saw that they had raised money for the wall and felt this was a more important cause. For Duane, the only individual I've ever truly loved.